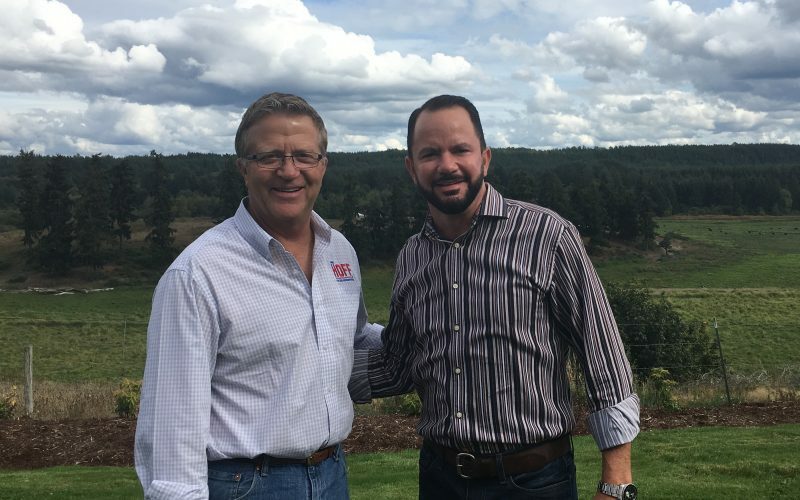 You may have seen the recent article in Anthem about Larry Hoff, former CEO of Fibre Federal CU, running for Washington State Representative in the 18th legislative district. Larry has been a longtime advocate for the credit union movement and now, as a movement, we have the opportunity to help him bring his voice directly to Olympia. Credit union advocates are needed to introduce Larry to voters in the district and encourage them to learn more about him and his policies. Join us on Saturday, September 15 at 10am for a Doorbell Kickoff Party at the Clark County Square Dance Center in Vancouver, WA. During this event, Larry and the campaign will provide some background and resources to equip you to canvass for him. There will then be the opportunity to go out in the district and knock on some doors. No prior canvassing experience is necessary! Samantha Beeler, Paula Sardinas, and Gretchan Blum from your Association will be there on Saturday. Join in on the fun and help Larry secure a victory in November! If you or anyone on your team is interested in attending the event or have any questions please reach out to, gblum@nwcua.org.